From iconic locations to stunning surroundings, the capital of Scotland has some stunning Spaces available to hire. Check out our top 8 meeting rooms Edinburgh has to offer. Making your next venue search even easier. From board meetings to team presentations, Edinburgh has Space sure to provide you with inspiration for those all important meetings. So, start your search with these top meeting rooms Edinburgh has to hire. Immerse yourself in natural surroundings with amazing sights and take the mundane out of meetings at Edinburgh Zoo. Impress up to 12 Guests with a beautiful view overlooking Edinburgh Zoo’s gardens. This Space is ideal for team meetings, working lunches, interviews. Small corporate events are also incredibly well-suited to this meeting Space. 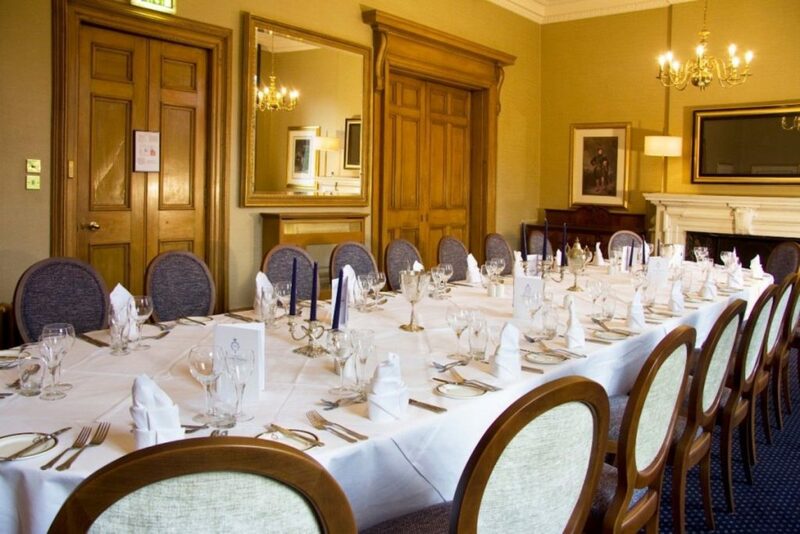 The Keith room is a comfortable and relaxed meeting venue with an abundance of natural light. Just a short distance from South Gyle train station, you and your Guests will be impressed by this charming and convenient location. Library at Braid Hills Hotel is a great off-site meeting Space in Edinburgh. Another meeting venue with a hotel venue backdrop, accommodating all of your event needs, inside and outside of your meeting. Use this Space as a conference breakout area for team discussions or as a meeting room over a working lunch. Featuring high ceilings and an open fireplace, this Space supplies a warm, rustic feel. Step away from the strict structure of corporate meeting rooms and into a venue where your Guests will feel relaxed and comfortable. With Slateford train station not far away, host a meeting of up to 12 Guests in a beautiful location at The Library. 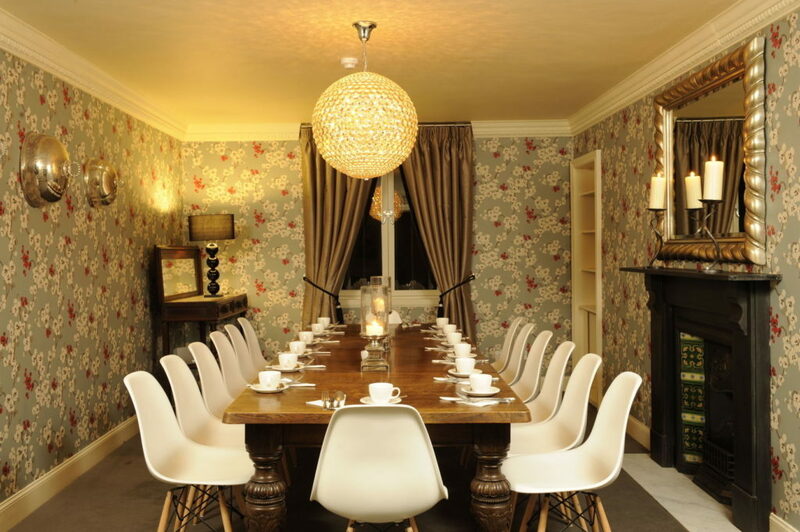 Brooks Hotel is one of the most accommodating meeting rooms Edinburgh has to offer. Boasting a lounge Space for a post-meeting discussion, or as a reception area for interviewees and business client. This meeting Space is incredibly functional. This intimate venue can host 12 Guests and presents a homely and welcoming ambiance. 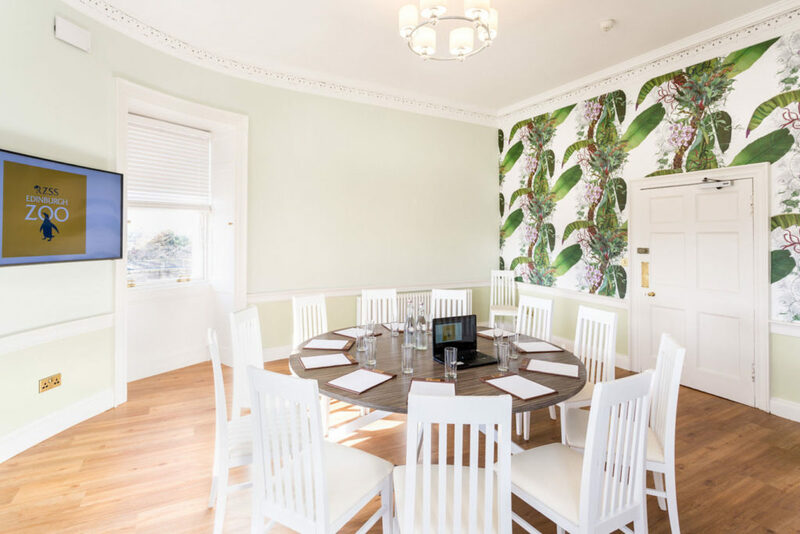 The Meeting Room at Brooks Hotel Edinburgh is ideal for small meeting room hire or working off-site while in Edinburgh. Just around the corner from Haymarket train station, this meeting Space is beautiful and accommodating for your next small event. At the end of our list of the top 8 meeting rooms Edinburgh has to offer is a Space with a highly versatile layout. From small conferences to seminars and presentations to meetings. The Douglas Room at the Royal Scots Club leaves nothing to be desired. Presenting period splendour enhanced by the natural light, this Space is beautifully bright. With features including original portraits and a historic fireplace, up to 28 Guests will be captivated by the history of the Royal Scots Club. In a spectacularly central location, The Douglas Room is just a stone’s throw from Edinburgh Waverley train station. 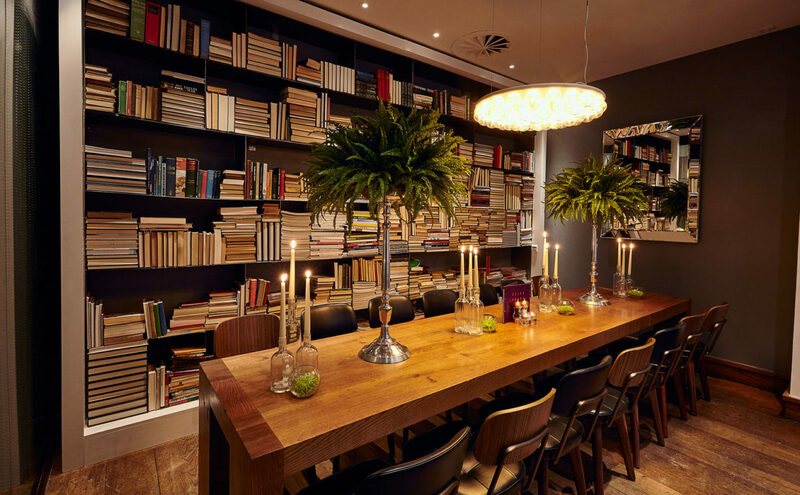 The Library at Tigerlily is a beautiful option for meeting room hire. A hotel backdrop comes with an array of opportunities to accompany your next team meeting. So take advantage of all the facilities available to help your meeting run as smooth as possible. Tigerlily is Edinburgh’s most talked-about boutique hotel, bar, and restaurant. 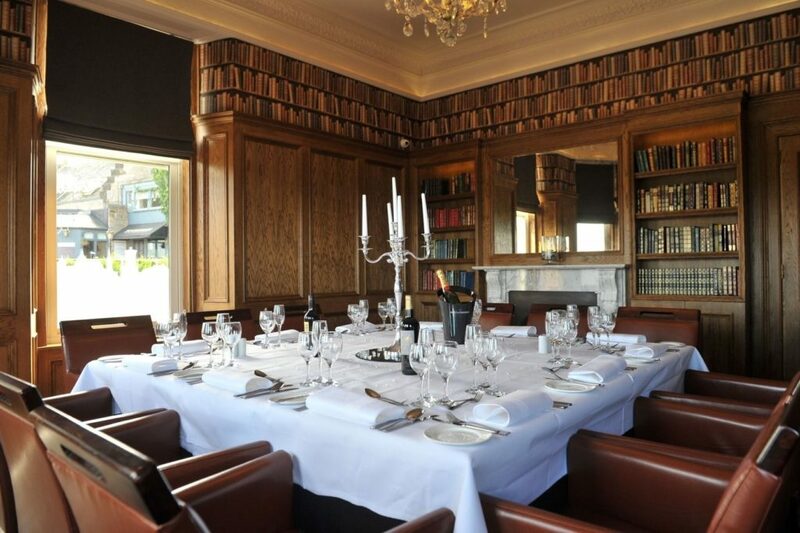 The Library at the Tigerlily is a warm and welcoming meeting venue in Edinburgh for up to 16 Guests. This is the perfect setting for an interview or intimate presentation. The Library at the Tigerlily also comes with a projector in place, creating an accommodating and effective meeting Space hire in the city. Stop and admire the surrounding hotel venue, and indulge your Guests in a private dinner or drink after your successful team meeting. 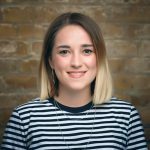 For a meeting room with all the trimmings, Tigerlily is one of the best meeting rooms Edinburgh has to offer. The Glenfiddich Garden Suite is an adaptable Space with a timber floor and classic wood panelling in a neutral finish. Equipped with complimentary WiFi, natural daylight black-out facilities, fully controllable lighting and air conditioning. This Space is a brilliant choice for any private meeting room in Edinburgh. 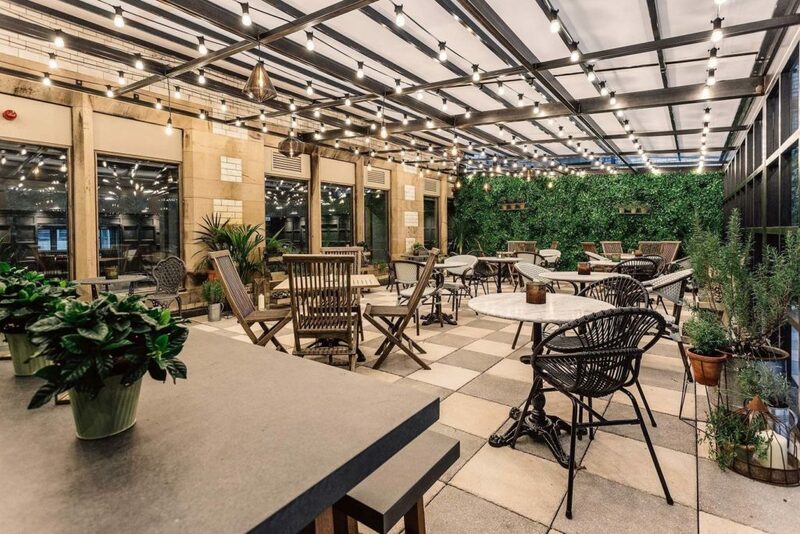 Concealed entirely from the hustle and bustle of the streets outside, it has its own weatherproof roofing system and is fully heated, making it the perfect Space to break away and take a breather. 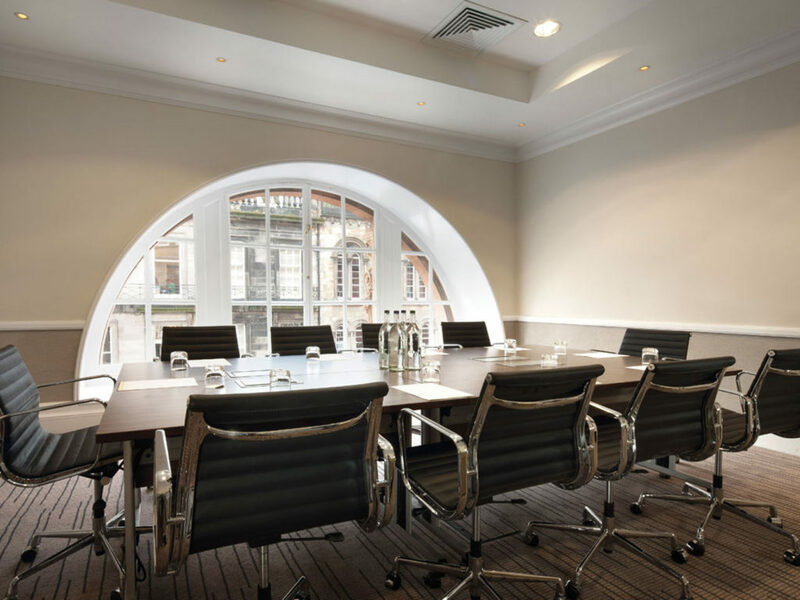 For a meeting room to hire in Edinburgh City Centre, the Braemar at Waldorf Astoria fits all your needs. The Braemar Suite has been purpose-built to host private meetings for up to 10 Guests. Contemporary décor combined with air conditioning, natural daylight and versatile lighting ensure the venue provides the perfect atmosphere for your event. Boasting a homely and welcoming atmosphere, The Jig Room is one of Edinburgh’s most beloved venue hires. A projector screen and in-house music is available for presentations to ensure your meeting runs as efficiently as possible. 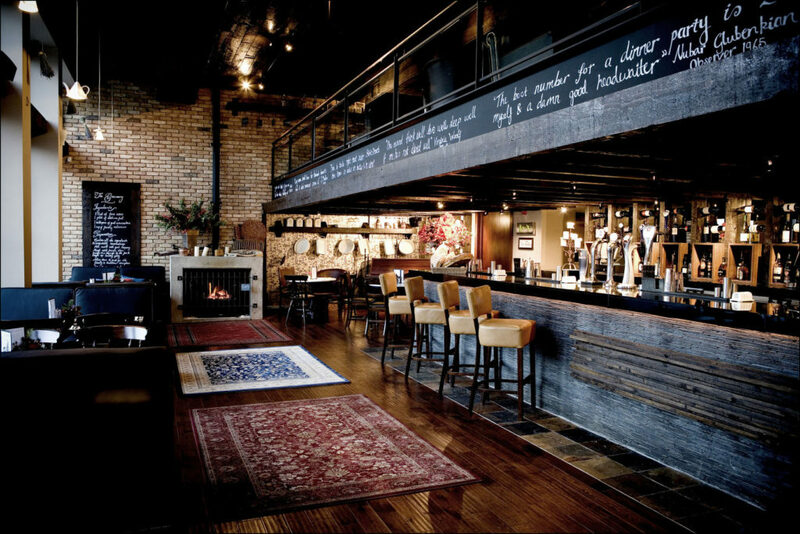 The Space is self-contained with its own private bar to help keep your Guests in high spirits throughout your event. Our list of the top 8 meeting rooms Edinburgh has to offer presents a wide range of Spaces, sure to suit your next meeting. Whether you’re looking for a room for presentations, interviews or informal team discussions, our list caters to everything you need. If you didn’t find what you were looking for, check out our Edinburgh collection page on HeadBox.